Everyone loves a good dessert. 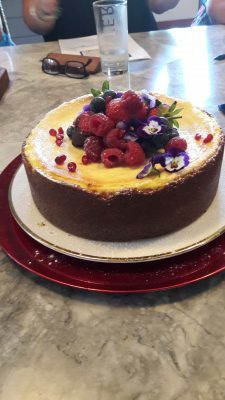 In this class you will learn how to make a lovely baked cheese cake, simple but tasty lemon tart, a blueberry and lemon cream tart and a raw raspberry cheesecake. Class will commence at 10am with a delicious morning tea and will end at approx 1pm.